These columns on family history research have primarily focused on HOW to get started and on mechanisms for solving some of the problems that everyone runs into in researching their ancestry. But I've also tried to impart some sense of WHY we go to such lengths to learn about the various and divergent families that make up the fabric of our own individual family histories - and the importance of trying to see the world that they lived in at the times in which they lived through their own eyes. Doing so requires learning much about local history in many different times and places in order to understand how our ancestors lived, how they survived, how they interacted with their neighbors and with each other and why they did some of the things that don't seem to make sense to us if viewed only through the lens of our own limited experience in a different time and place. The genealogy section of any library will include many HOW TO books on how to get started and how to structure your own family research in a systematic fashion. Most books used in genealogy are reference books in which we find compilations of data about people in specific localities extracted from public records of many types. For specific families, you may find books that document the descendants of some specific individual through several centuries - which can be very useful if some of these descendants are your own ancestors. And some books do the reverse - starting with an individual and tracking all of that persons ancestors back over a period of time. In fact, that may be your own objective - to document your own direct ancestors as far back as you can. Generally, such books don't make for very interesting reading. They usually are compilations of facts and dates and places but do not really give you a satisfying understanding of how these ancestors lived - the books are generally devoid of the feelings and emotions that defined what life was like in your ancestors' times and places. There are also many local history books that focus on specific localities and describe the changes wrought on them and the people who lived there over a period of time. These too, are generally devoid of feeling and emotion - with individuals simply making cameo appearances in the ongoing narrative. You've probably encountered such books. In this column I want to highlight one specific series of books that I think you would find interesting even if the locality and the specific families are not of direct interest to you - partly because the books are so well researched and so well written. And also because they are an excellent illustration of how it is possible for a skilled writer who is steeped in the history of a region and of his ancestors in that region to seemingly bring them to life in a narrative that attempts to capture some of their innermost feelings and some of the intricacies of their lives over a period of history. The locality for these books is a small section of Pike County, Kentucky - but you may feel as you read them that they could be representative of other families and other localities in Appalachia. East Tennessee has a lot in common with Eastern Kentucky in terms of topology, the origins of settlers, the impacts of the Civil War, of logging, mining and the other economic and sociological impacts on the land and its people. The author of these books, Bruce Hopkins, did not start out to write about his ancestors and the history of the region in which they lived. But it was his legacy to be in that place and nearly the last of his ancestral line still living there at the time that a new major highway was laid out right through those mountains - and right through the burial grounds of his ancestors. 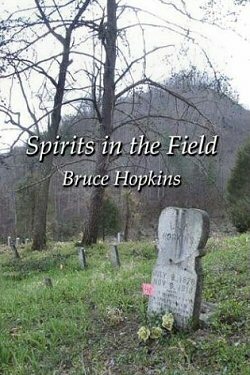 The first book, Spirits in the Field, resulted from his battle with the Kentucky Department of Transportation and his research to attempt to identify the graves of his ancestors before they were obliterated. But, from his research, he learned so much more about the history of Greasy Creek and the lives of his ancestors over a period of 200 years that he began a trilogy about them. Bright Wings to Fly and Hearts in Zion are the first two books of that series. Bruce expects to publish the third book of that series in a couple more years. Right now his day job for the Pike County School System keeps him too busy to finish it. Bruce is a former teacher and journalist - and is an excellent story teller - as his books will attest. I think you will find them to be interesting - and I believe they will help give you a sense of why we do family history research. In researching a part of my extended family I learned a lot about a number of long-time Pike County, KY families - one of which turned out to be a part of the Hopkins clan that Bruce had researched and written about in his books. It's been my pleasure to correspond with Bruce and to share information and perceptions as well as some of our interests - to the point that I feel that we know each other fairly well - despite the fact that, to date, we have not met in person. In 1997 the Kentucky Department of Transportation announced plans to rebuild highway US 460 through Pike County to Virginia. The new route would cut a wide swath through the mountains in the valley of the Levisa, and the ancestral burying ground of the Hopkins family since before the Civil War was in its path. For six years Bruce Hopkins worked to discover the family secrets buried in the old cemetery and to reclaim his heritage. This is the story of his struggle with the Kentucky DOT and the unearthing of his family history back to the first settlers who came there after the Revolution. This is but one of many family histories concealed beneath the mine tailings, highway excavations, or kudzu of the Eastern Kentucky mountains, most of which will remain forever untold and unknown. In 2003, Bruce Hopkins uncovered more than his ancestors' bones when his family cemetery was moved for road construction. As a result of that experience, Hopkins wrote Spirits in the Field which introduced the reader to nearly 200 years of his family history, and which was, in microcosm, a history of the coalfields of Eastern Kentucky. In 2006, Hopkins published Bright Wings to Fly, his second book and the first of a trilogy of books that expand on Spirits in the Field. 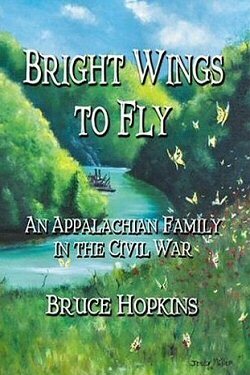 In Bright Wings to Fly Hopkins returns to the Civil War era for the first of a trilogy that deals with three great periods of Eastern Kentucky history. Bright Wings tells of the struggles of mountain families, broken and in poverty, as they attempt to deal with and recover from losses that had been unimaginable prior to the Civil War. In January 2009, Hopkins’s third book was released. 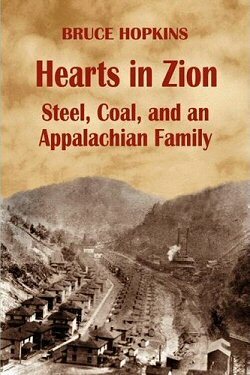 Hearts in Zion, subtitled “Steel, Coal and an Appalachian Family,” follows the Hopkins and related families from the beginnings of the Twentieth Century to Pearl Harbor, and includes the First World War, the Roaring Twenties, the era of the great coal camps, and the Great Depression. With Hearts in Zion, Hopkins continues the story of his family, as a strange, new prosperity descends on the hills. The lessons learned in the aftermath of the Civil War are nearly discarded, until once again the people of his homeland face unbelievable convulsion and abandonment, but manage to survive and pass on the stories of their bloodline to yet another generation. Bruce Hopkins is Director of Communications and Risk Manager for the Pike County, Kentucky, School System. He holds a BA in English from Pikeville College, an MA in English from Longwood University, Farmville, Virginia and has taught in the public school systems in Kentucky, Virginia and West Virginia. He has been an English teacher and journalist for most of his adult life. 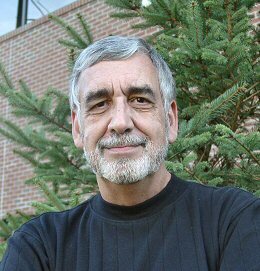 He still teaches occasional college-level classes in Southern Literature and writes a weekly commentary for the Appalachian News-Express in Pikeville, KY.
"I have aggrieved the spirits of my ancestors by comparing them to their descendants. I have attributed too much of the baseness of life in these hills today to a legacy not wrought by my ancestors. I assumed that the fatalism so common, and the diminution of spirit so pervasive in my culture, existed before the mines came, that it was indigenous to my breed. But I was so wrong."